AES is committed to protecting your privacy and provides this on-line Privacy Statement to inform customers that we recognise the needs for strict control over personal information which is shared with us. The processing of any personal data shall always be in line with the General Data Protection Regulation (GDPR), and in accordance with the country-specific data protection regulations applicable to AES. 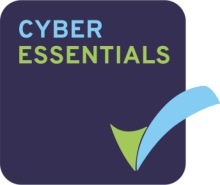 AES are certified compliant with the requirements of the Cyber Essentials Scheme. By using the website and providing your contact details you consent to AES using the information you provide to respond appropriately (by email or telephone) to send you information about the company and products that you are interested in. You can be assured that the information provided will only be used in accordance with this privacy statement, therefore we appreciate your help in ensuring the information you provide to us is accurate and up-to-date. You may select to receive future electronic communications from us when completing the on-line request form. We generally send electronic communications by way of product release/product update/product support information and emails to our registered customers. This may be in the form of a technical newsletter for the purposes of keeping our customers up to date with our latest FPGA signal processing and data recording products. Email newsletters are usually sent up to 4 times per year and AES may see when such an email newsletter has been opened by the customer, this is for the purposes of statistical analysis only and there is no transfer of this data to any third party. If you choose to join our mailing list to receive product updates etc, you can choose to stop receiving correspondence at any time, by clicking on the ‘unsubscribe’ link contained at the bottom of any AES product update email or newsletter and we will remove your details. If you have previously agreed to us using your contact information for such purposes and have since changed your mind, or if you believe that any information we are holding is incorrect or incomplete you can also write to us at our main office address or email us. We will promptly correct any information found to be incorrect. Cookies are small text files that may be placed on your computer by websites that you visit. They are widely used in order to make websites work, or work more efficiently, as well as to provide information to the owners of the site. The www.aes-eu.com website uses Universal Analytics (google) cookies for web traffic analysis purposes to identify which pages are being visited. This enables us to administer, improve and tailor the website so we can deliver the best services to our customers. The cookies collect information in an anonymous form and do not give us access to your computer. The AES website may contain links to other sites controlled by our suppliers and partners. Once you have used these links to leave our site, you should note that we do not have any control over these other websites and we are not responsible for the privacy practices, cookies or the content of such websites. Therefore, we cannot be responsible for the protection and privacy of any information which you provide whilst visiting such sites as they are not governed by the AES privacy statement. You should refer to the privacy statement applicable to the website in question.